As inspectors we come across a number of different business models and set ups for the management of clinical trials. Organisations vary from conducting all trial management activities in house, outsourcing activities for which they do not have capacity or expertise in house, to completely outsourcing all clinical trial activities to third party organisations (e.g. Contract Research Organisations (CROs) and Clinical Trial Units (CTUs)). Whilst there is no one size fits all for the management of clinical trials, there is a clear requirement in the regulations that the sponsor retains all responsibility for the conduct and reporting of clinical trials (SI 2004/1031 Regulation 3). One of the main issues seen on inspection in this area is with the lack of information and documentation in the form of contracts and agreements with vendors. These are used to delegate activities to vendors by sponsors. However, it should be clear in the agreement that compliance with the protocol and regulations is required which would supersede any internal processes and procedures. 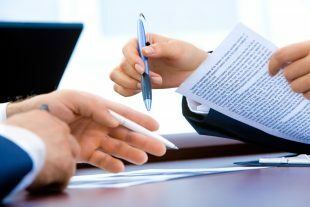 It is important that subcontracting is mentioned in the contract and how the sponsor maintains oversight of any further subcontracting performed. Is the sponsor aware of all vendors on the trial and has the sponsor agreed to the use of the subcontractor? It is important that delegation of duties is clearly documented and there are no gaps or ambiguity which may lead to non-adherence with regulatory requirements. It is often seen on inspection that key legislative requirements are missing from contracts such as reporting of urgent safety measures and serious breaches, which can lead to non-compliance as the roles and responsibilities have not been clearly defined. There are a number of methods which could be used for oversight of vendors and it is recommended that a risk-based approach is taken regarding this decision. When assessing the level of risk, it is important to consider what activities will be undertaken and their potential impact on patient safety and data integrity. For example, a laboratory performing analysis of samples used for the primary endpoint may be considered higher risk than a laboratory analysing samples for exploratory analysis only, and may therefore require additional oversight. Vendor Assessment: This is performed prior to using the vendor and can also be used as a mechanism for ongoing assessment of them. 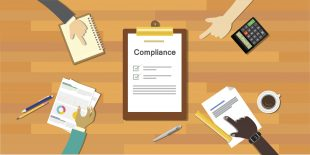 The process could include a review of the vendor’s Quality Management System (QMS) to ensure it is compliant with regulatory requirements and procedures are in place for the activities being outsourced. The assessment may be in the form of a questionnaire, review of Standard Operating Procedures (SOPs), a site visit or audit, or a mixture of these. Audits can be performed prior to selection, during conduct and at the end of a trial. The audit may be trial specific, or process based if the vendor is conducting more than one trial on behalf of the sponsor. If any potential serious breaches are identified during an audit, there should be a mechanism in place to feed this back to the sponsor and report to the MHRA. Whichever method is used it is important to document the assessment and outcome and think about what happens with this information. It should not be a form filling exercise and it is expected that the sponsor documents their decision on whether to use or continue using the vendor. Project Plans: Where a number of different vendors are involved in the management of a trial, it is recommended that a communication plan is created along with any other plans which clearly identify the processes and procedures to be followed by each party and the mechanisms of communication (including the process for escalation of issues as mentioned below). This may also be covered in study contracts and SOPs, in which case evidence would be required that individuals working on the trial have been made aware of the contractual requirements/ SOPs to be adhered to. Performance Reviews: Feedback at the end of the trial to evaluate the vendor’s performance can be a useful tool in deciding whether to continue using the vendor or not. If on inspection the inspector notices that a number of non-compliances were identified by the sponsor and not adequately rectified, then it would be asked why the sponsor continued to use them, and if any mitigations were put in place to prevent reoccurrence of issues. Project Meetings/ Update (Metrics) Reports: Project teams are becoming increasingly large and complex. Project meetings and status/ metric reports can be a useful method of keeping track of trial progress. It is recommended that where meetings are held there is a clear agenda and these meetings are minuted. Where actions arise, it should be clear who the action has been assigned to and when it is due to be completed. Failure to implement an action could have detrimental effects. This was seen in a serious breach reported to the MHRA where a packaging issue was not rectified, resulting in a subject taking an overdose of IMP which resulted in a fatality. Where status reports are received, it is important to know what to do with them, what the review entails and how issues are followed up and resolved. Document Review: oversight by the sponsor can also be demonstrated by the review and approval of documentation for the trial (e.g. Monitoring Visit Reports (MVRs), Data Management Plans, Statistical Analysis Plans, review of deviation logs, audit trails etc.). It should be clear within the sponsor’s QMS which documents are required to be reviewed by the sponsor and what the review entails. Co-Monitoring Visits: these are often used as a mechanism of overseeing monitoring activities; however, there should be clear documentation of the co-monitoring visit by the person performing the visit. This is in addition to the MVR written by the CRA. It should be clear what activities were performed and any issues identified, with an appropriate Corrective and Preventative Action Plan (CAPA). Issue Escalation: There should be processes and procedures in place to ensure that the sponsor is promptly notified of issues so that appropriate action can be taken. This includes the identification and escalation of any potential serious breaches to the sponsor so that they can be reported within 7 days of identification. Note that the clock starts as soon as anyone working on behalf of the sponsor (this includes vendors) identifies the issue. During inspections, we are commonly told that TMF management is outsourced and held by the vendor. However, the sponsor should be able to demonstrate their oversight of trial activities which have been delegated, and to demonstrate this oversight during an inspection. This can be in the form of an oversight file which forms part of the overall TMF but remains with the sponsor. We have seen on inspection that at the end of the trial the TMF retrieved from the vendor was amalgamated with the sponsor’s oversight file (and sponsor oversight documentation removed). It was therefore not possible to reconstruct what oversight the sponsor had of the trial whilst it was ongoing. It is important to remember that it is not just external vendors which require oversight, but also investigator sites and contractors working in-house. Organisations are becoming more and more complex that the concept of oversight of internal functions and departments is just as important. Failure to comply in this area can result in critical findings and also prevent the organisation from sponsoring any further trials until the issues are resolved. Sponsor oversight is not just the initial vendor assessment process, it should be demonstrated throughout the trial. A risk-based approach to vendor selection and management is recommended and this should be identified within your QMS. Identify those key areas where you want to concentrate your oversight activities and ensure the activities are commensurate to the risk associated with the vendor (for example, consider how much is gained from conducting TMF/ ISF audits only and think about when investigator site audits/ monitoring visits may be necessary). Most importantly, ensure your sponsor oversight activities are clearly defined within your QMS and retain documentation and evidence of oversight in the TMF. Further guidance is available in chapter 1 of the MHRA GCP Guide. Subscribe to the Inspectorate blog to be notified of when part two to the Sponsor Oversight post is published. Part two will cover inspection metrics in this area and discuss case studies from both commercial and non-commercial organisations. This is an excellent article and really helpful, thank you Mandy and MHRA for providing. I will be utilising some of the points in my training materials. Looking forward to Part II. When it comes to sponsor oversight, it is a wide gap between micromanagement and a hands off approach , so this article is very useful. What does"sponsor" refer to here? Does it also mean pharmaceutical manufacturer who uses a third party to do clinical trails? By any chance, is it possible that anyone give me some instruction? Thank you very much. It helps a lot. As part of training material I am keen to illustrate that definition of "Sponsor responsibilities" means it can apply to anyone in the organisation from the CEO through to individuals conducting or overseeing operational activities in relation to a clinical trial. Are you aware of any specific legislation or definitions, or can you comment further on this please? Under the UK Clinical Trials Regulations, Regulation 3 defines the responsibility of a sponsor. Within that Regulation 3 (12) states that ‘A person who is a sponsor of a clinical trial in accordance with this regulation may delegate any or all of his functions under these Regulations to any person, but any such arrangement shall not affect the responsibility of the sponsor’. It is therefore expected that anyone employed by the sponsor has an appropriate job description and contract that requires them to fulfil their specific responsibilities on behalf of the sponsor as an employee. Another reference that may be useful to you is Regulation 28 (1) No person shall – (a) conduct a clinical trial; or (b) perform the functions of the sponsor of a clinical trial (whether that person is the sponsor or is acting under arrangements made with that sponsor), otherwise than in accordance with the conditions and principles of good clinical practice. "The sponsor should ensure oversight of any trial-related duties and functions carried out on its behalf, including trial-related duties and functions that are subcontracted to another party by the sponsor’s contracted CRO(s)." How should we interpret the level of oversight required of third-parties to whom our contracted CRO may have subcontracted certain activities? Would assessment of the CRO's own vendor assessment programme be sufficient, or as the wording seems to imply, would this mean the same level of direct oversight of such third-parties would be required as we give to our CRO? It is recommended that the sponsor applies a risk based approach to the oversight of activities sub contracted by the CRO to a 3rd party vendor. The level of oversight should be commensurate to the risk and should consider the impact of the activities performed by the 3rd party vendor on patient safety and data integrity. It is important that firstly the Sponsor is made aware of any subcontractors used by the CRO and agrees to the use of them. We commonly see this built into the contract with the CRO which requires the Sponsor to approve the use of any subcontractors via a tripartite agreement. 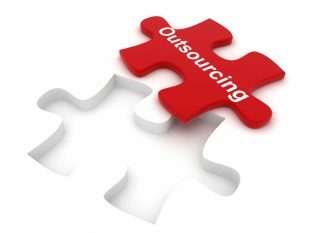 The Sponsor may choose to review the CRO’s outsourcing/ vendor qualification programme to assure themselves that the 3rd party vendor has been suitably assessed by the CRO. If the Sponsor delegates oversight of the 3rd party vendor to the CRO, then the Sponsor would need to ensure that there are robust oversight mechanisms in place at the CRO and a clear escalation process to the sponsor in case of any issues. The Sponsor would also need to consider the retention of any data and records produced by the 3rd party vendor and how they form part of the Trial Master File. Thanks for the confirmation - I will pass it along internally and fortunately, this does reflect our current ways of working.